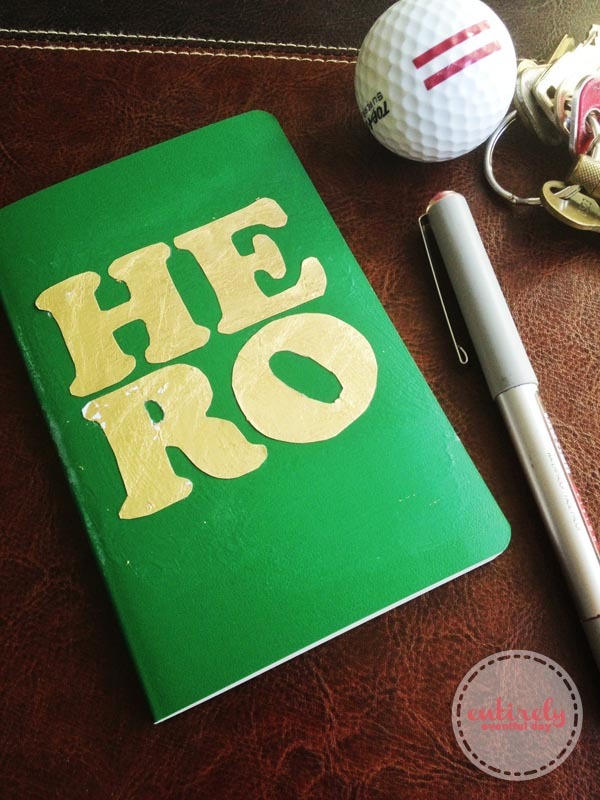 If the dad in your life is your HERO then this project is for you! Make him a little gift to show him that you care. 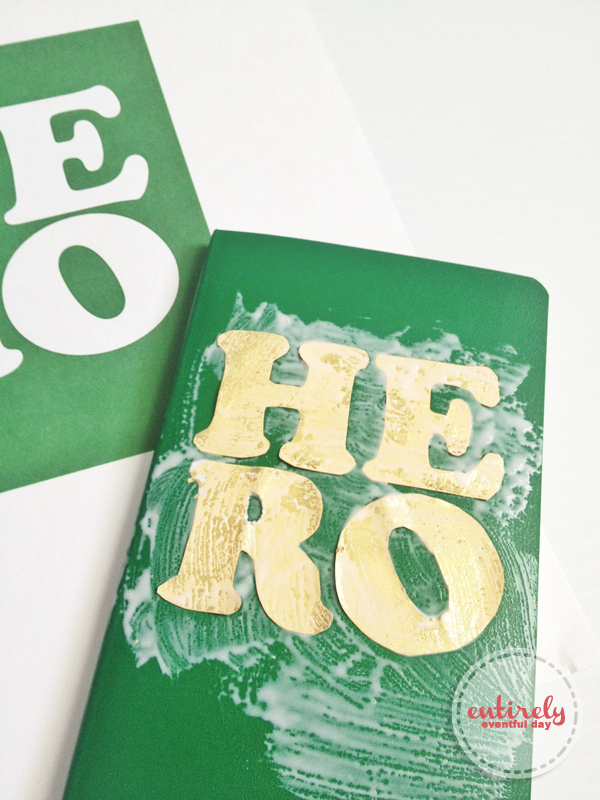 I created this DIY Gold Leaf Notebook using my HERO printable. It's the perfect thing for Father's Day! 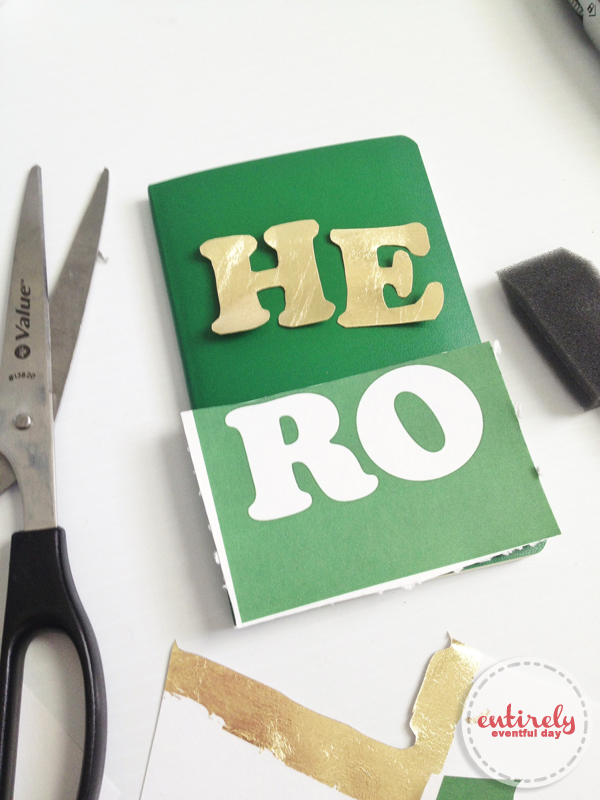 Resize the HERO printable to fit your notebook. 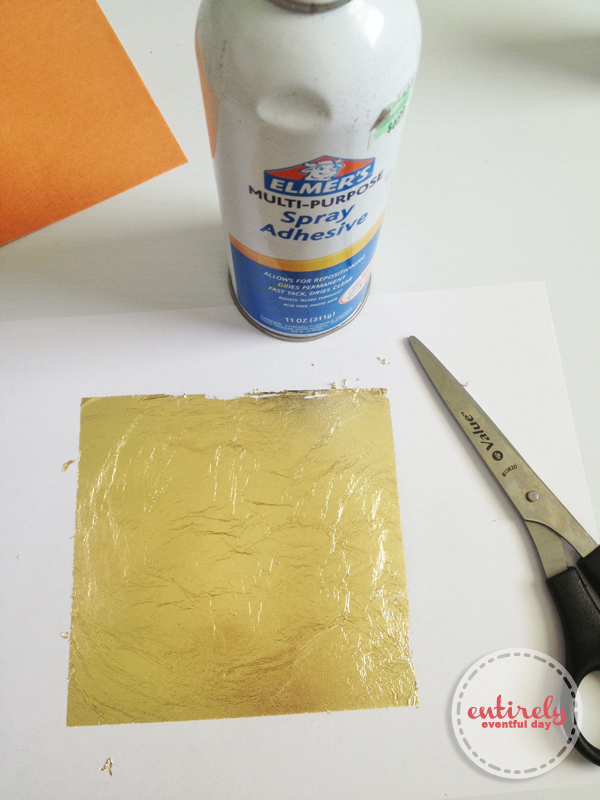 Spray some adhesive on a regular piece of paper and lay your gold leaf on it. 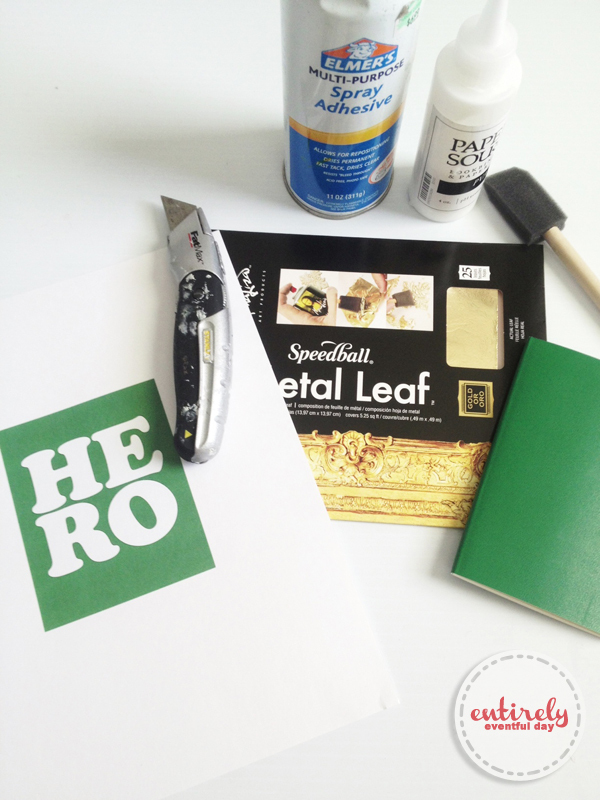 Lay the HERO print over the gold leaf and use it as a guide to cut out the gold leaf. I wanted it to be just a light layer of gold leaf on the notebook but I soon figured out that I couldn't get the detail of the letters without backing the gold leaf with something. 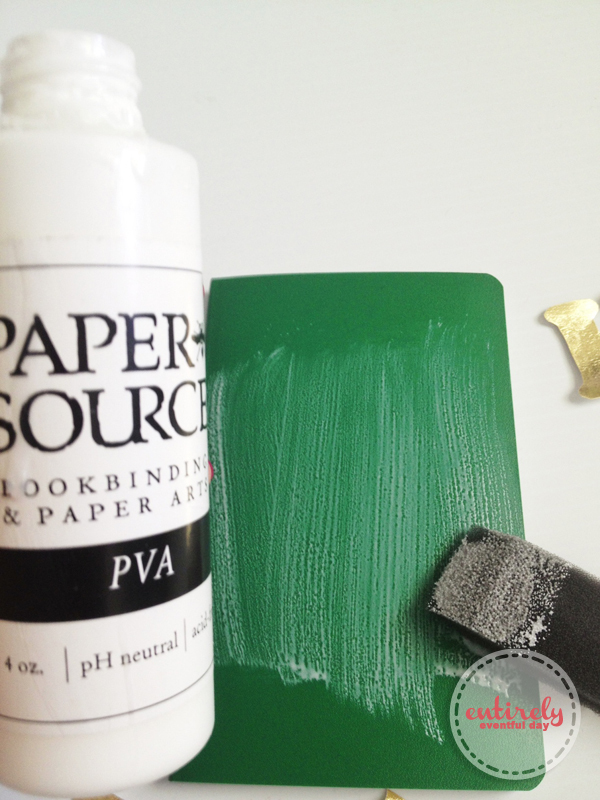 Use a foam brush to apply the book binding agent or Mod Podge. Arrange your gold letters on the notebook. Paint over the letters with the book binding agent or Mod Podge. Allow to dry and there you have it... THE perfect Father's Day Gift!